What a neat item for that Ancient Worlds lover. 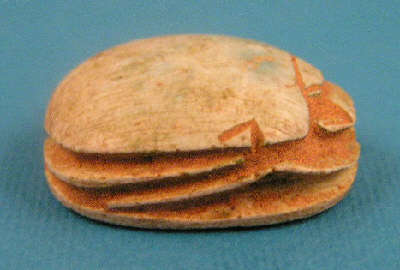 This is a wonderful Ancient Egyptian Scarab carved from steatite. This marvelous piece has a really wonderful ocean blue color topside with very powerfull and percise hieroglyphics on its flat belly. 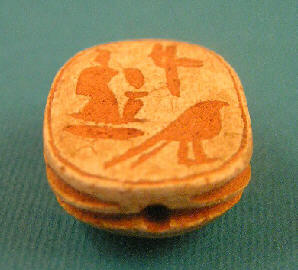 This scarab would be dated Late Period. This is a rare item and winning bidder will truly marvel at the power and beauty behind this piece. There is a hole for strining this marvelous amulet. You will not find another one like this with this bright blue color and excellent condition so bid accordingly.